Since his retirement in 1988, Sparky has been taking it easy at the National Coal Mining Museum and has been looked after by Wendy and her colleague Bonnie Littlewood. Now, Sparky’s life consists of staying out in a field overnight and spending his morning in the stable eating oats and barley, and meeting visitors. The oldest pony in the museum, he is something of a living legend. “He’s a real charmer,” says Wendy. “It takes a while for him to warm to someone but once he does, he’s your friend for life. He’s stubborn and knows his own mind. He’s a real Victor Meldrew. But eventually, if you’re patient, he comes round. From Geoffrey Wheatcroft’s review of Jane Ridley’s new biography of Edward VII in the NYRB. In a scene too lurid for the trashiest episode of Downton Abbey, Sir Charles Mordaunt returned unexpectedly from a fishing holiday in Norway to find two white carriage ponies in front of his country house, and his wife Harriet talking to the Prince of Wales [Edward VII to be], who had given them to her. Bertie left hurriedly while Harriet rushed indoors, but she was dragged back outside by Sir Charles to watch as he shot the ponies. Mordaunt went on to divorce his wife, forcing “Bertie” to appear in court and deny any connection. Poor ponies. The Guardian has a piece on the plight of the Dartmoor Hill Pony. Apparently prices are falling, and by the close of a recent auction only 20 of 60 animals had been sold. The piece goes on to say that “in the last century” the hill pony thrived. This isn’t strictly true. 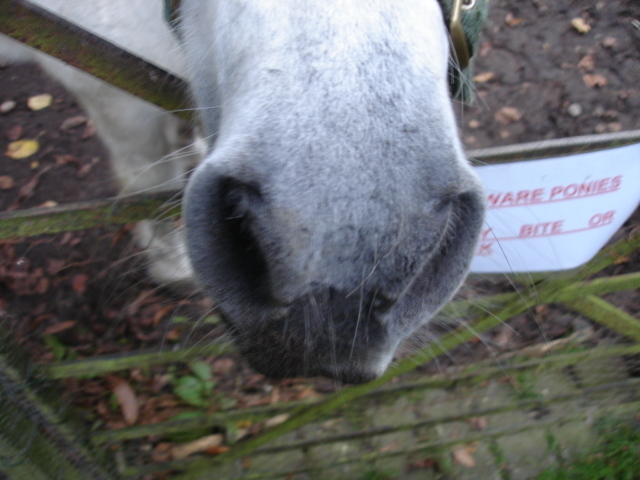 I’ve blogged about this before – pony prices frequently tumble, causing fears that there will soon be no ponies on the moor. There’s also a long-standing debate as to whether the Hill Pony should even be there in the first place – purists think the “true” Dartmoor pony has a better claim than the Heinz 57 Hill Pony. On the whole it’s one long decline, which is unsurprising as a) ponies have fewer uses these days, thanks to cars and b) we’re in the middle of a long recession. Here’s a 2010 piece which echoes a 2001 article and one from 1998. And here are historical sources including one from 1928, showing concern at the end of the Dartmoor Pony breed, and one from the 1950s that makes the distinction between the true Dartmoor Pony and the Hill Pony. Both are pretty fascinating reads if you want to understand more about the story. Even with no adjustment for inflation, the ponies sold in 1928 fetch more than those in 2013. This is a 1920s letter from Ada Cole concerning the shipment of Dartmoor Ponies to Belgium for slaughter. 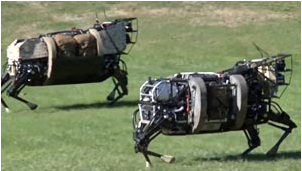 Thanks to Jane Badger for the link to America Blog and a video of the US Army’s latest combat buddy (seen in action below). I think Kate Beaton should have a cut of the royalties. 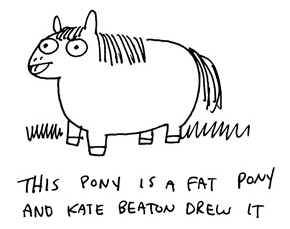 If you’re curious about Kate’s inspiration for Fat Pony, take a look here. “I am taking all possible measures to find out whether the Dartmoor ponies are going to Belgium for slaughter, and, if so, how and where they are killed. We have already traced one truckload which was travelling from Friday to Sunday in England. And yes, that’s Ada Cole, founder of what is now World Horse Welfare.